Book Promotion Wrap Up Week One –Thanks for Entering To Win! Week one of book promotion for Inn Significant has come to an end, and I wanted to thank all 594 people who entered to win on Amazon for doing so! We had three winners this week–Thelma, Kendra, and Jessica. I hope you all enjoy Inn Significant…I really do. I also wanted to thank the Star-Democrat newspaper on Maryland’s Eastern Shore for featuring the story about the book this week. Hopefully, some folks who either live on the Eastern Shore or love visiting Oxford, St. Michaels, and Easton (like I do) will enjoy the story of Milly Foster and her life at the Inn. If you’ve finished reading the book, you might enjoy my recap of that includes photos and places that inspired the setting of my book that I posted. Check it out and see if it’s what you imagined as you read the story. Thanks, as always, for reading, following, and caring! Have a great weekend, everyone! Stephanie Verni is Professor of Business Communication at Stevenson University and is the author of the newly released Inn Significant, Baseball Girl, and Beneath the Mimosa Tree. Along with her colleagues Leeanne Bell McManus and Chip Rouse, she is a co-author of Event Planning: Communicating Theory and Practice, published by Kendall-Hunt. 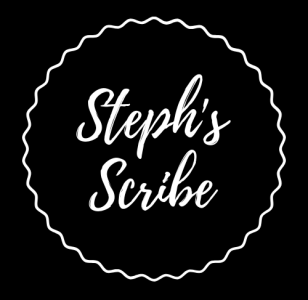 To visit Stephanie’s Amazon Author page and see her books, click here.